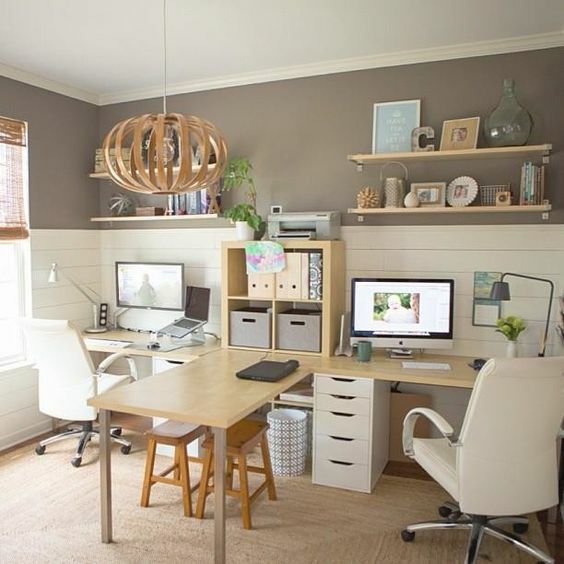 Like any workspace, your home office needs to be comfortable, both ergonomically and aesthetically. Invest in a good chair. Do not, no matter how tempting or easy it is, use that wonky dining chair you keep meaning to repair. Your back will thank you for this later. Remember, if you run a business or are a sole trader, any office expenses are tax-deductible, so don’t skimp on comfort and spinal health. Make your workspace conducive to doing actual work. Lighting, décor and temperature are all important factors in creating a zone where you are going to power on, head down, and get things done! A nice piece of artwork that you find inspiring can also be a good idea, but try to keep things fairly neutral and minimal, especially if you will be inviting customers/clients into your space, or use videoconferencing. If your decorating budget is tight, there’s absolutely nothing wrong with using preloved goods. Second-hand furniture stores, particularly those that stock office furniture, are great places to nab a cheap desk or filing cabinet. And don’t forget about furniture on websites such as Gumtree, or even the humble garage sale. If the items are a bit shabby or outdated, giving them a fresh lick of paint or just a thorough clean could be all it takes to make them new again. At the absolute minimum, you’ll need a computer, preferably with a printer, and definitely with fast internet access. Other home-office equipment you might need will, of course, depend on the work you’re doing, but a dedicated phone line (or mobile), some stationery, and a nice pen are all useful items to have on hand as well. If your home-office space doubles as a guestroom, playroom, or (more realistically) junk room, you need storage that is discreet and most of all functional. Again, though, if money is tight, there’s nothing wrong with second-hand furniture, or even repurposing other items from around the house. If you really want to look and feel the part, milk-crate bookshelves are probably not the way to go.